In my build I also added a fourth pot "Contour". Instead of the 1k2 resistor, I used a 220R resistor and a 1k pot in series. The pot can be used for fine adjustment of the tone and the gain. When tuned clockwise Gain and midrange is increased. 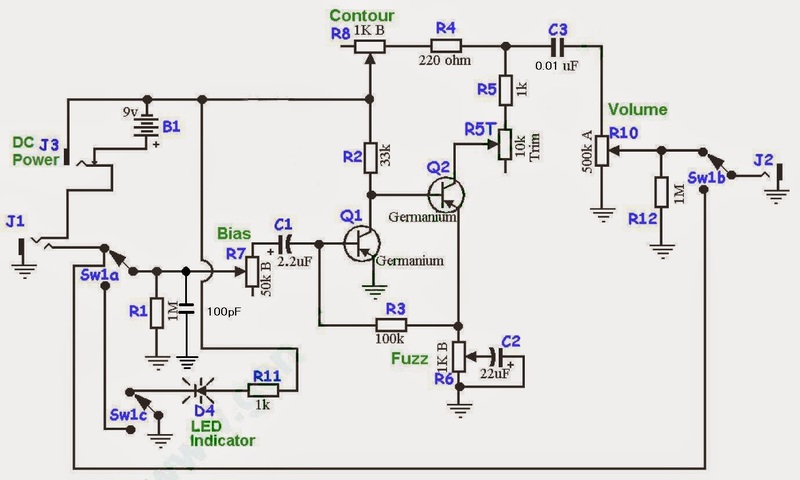 When turned all the way up, the value is the same as in the Axis Face Schematic from FuzzCentral. 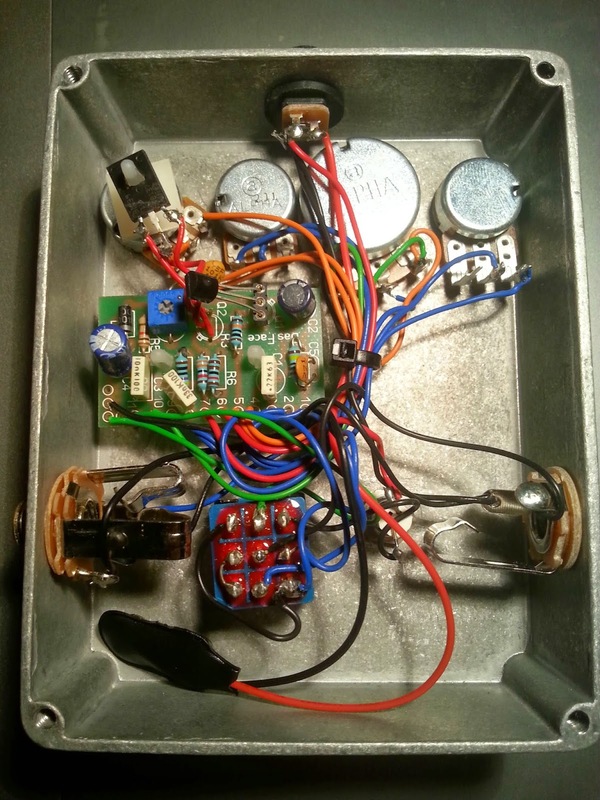 As for every pedal you can built it on a vero. I ordered a PCB from musikding.de. Its a universal fuzz face PCB, and can also be used to build up a 69 Fuzz Face or the Axis Fuzz Silicon. Here are some pictures of my Build. Here you find a Sound Demo of my Pedal. Most time I used my favourite settings. 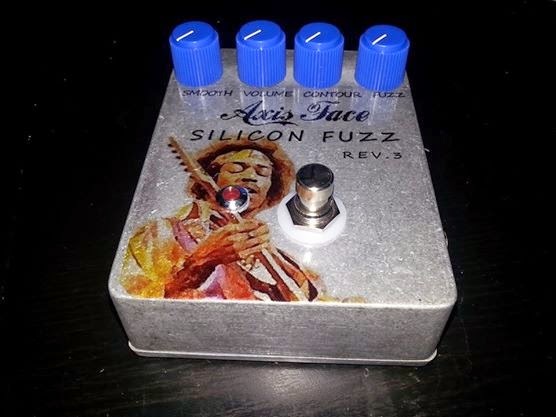 Fuzz Control is turned all the way up for most settings. I only changed the Smooth and the Contour pots.